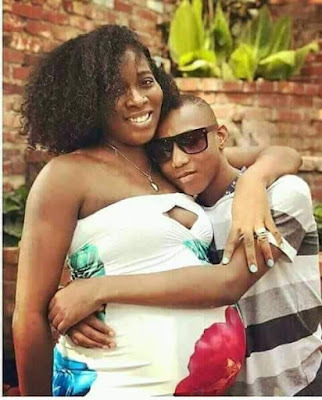 Before now, the story of boys falling love with women that are way too old for them have been rampant on the social media, as most celebrities are even known to be in this act. Almighty Jay, Blac Chyna's toyboy is about 11 years younger than him, Shakira's footballer husband with whom they raised beautiful children together is also very much younger than her. 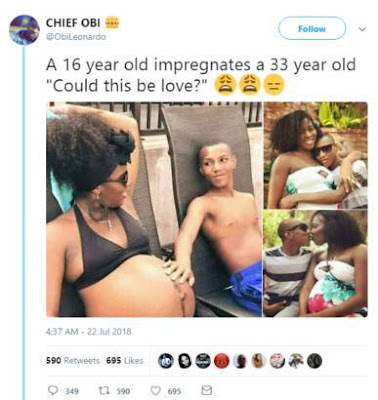 A Twitter, @ObiLeonardo has shared photos of a 16-yr-old boy who impregnated a 33-yr-old woman.